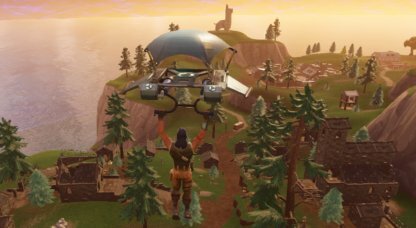 Start your Fortnite Battle Royale strategy by choosing a good landing spot on the map. 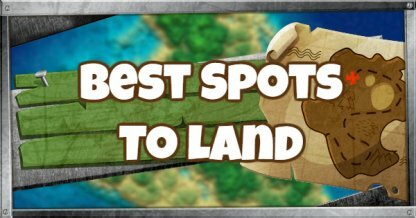 This guide provides tips on identifying good landing locations faster! 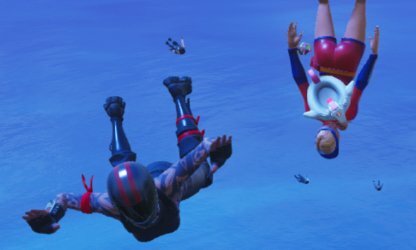 Most eliminations in the early game happen when players land close to each other. Landing in a sparsely populated area will ensure that you can avoid other players before you've managed to grab a weapon or two. A good landing spot should have items that you can use to defend yourself. 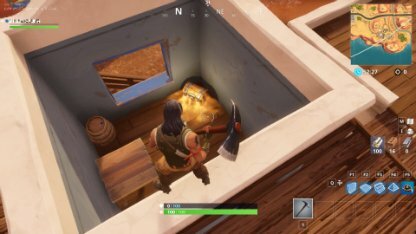 Always aim to land fast and close to a weapon or chest so you're not left to fight with your pickaxe during the first minute of the match. 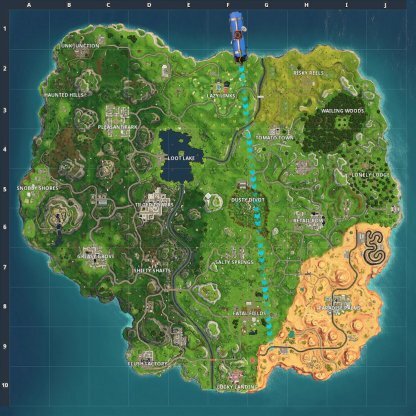 Since you're on your own, it's generally a good idea to land as far from the Battle Bus route as possible. This ensures that you will encounter fewer players during the first minutes of the game. Check Out How To Play Solo Mode! Since you have teammates, mid to close range to the Battle Bus path is recommended. Tactics after landing will vary depending on players' skills but you should land reasonably close to each other to avoid ambush. Check Out How To Play Squad Mode! 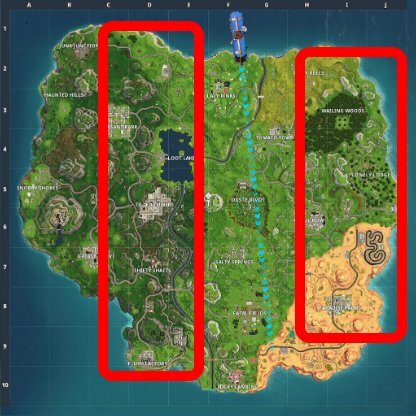 The Battle Bus route changes every match. The route tends to have a higher concentration of players which makes it more dangerous. Population density will also be influenced by Challenges players are working on. It is generally a good idea to avoid specific areas indicated in the latest week's Challenges. 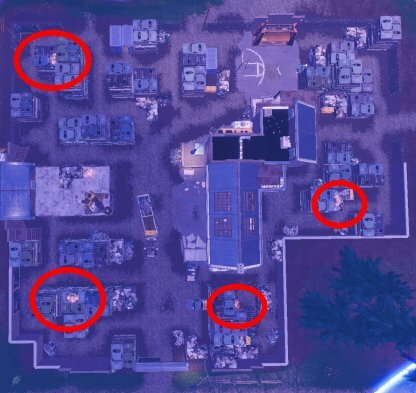 Roofs and top of buildings are a good place to land since the usually have hidden Chests, Ammo Boxes, and other loot. See something shiny as you glide down? You may want to investigate that then hoof your way to your intended drop point. Keep in mind that other players may have seen it as well so be on the lookout for enemies. Look around while gliding to see where other players are headed so you will be relatively prepared in case you see a few land close to you. 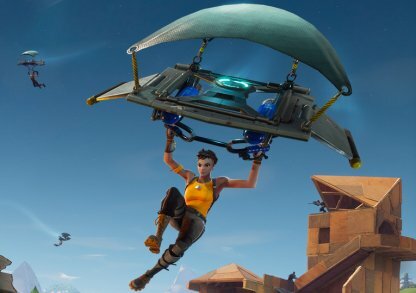 Gliders will automatically deploy once you are a certain height from the ground. Dive towards the lowest possible elevation in the general area to delay deployment then switch to your intended destination.